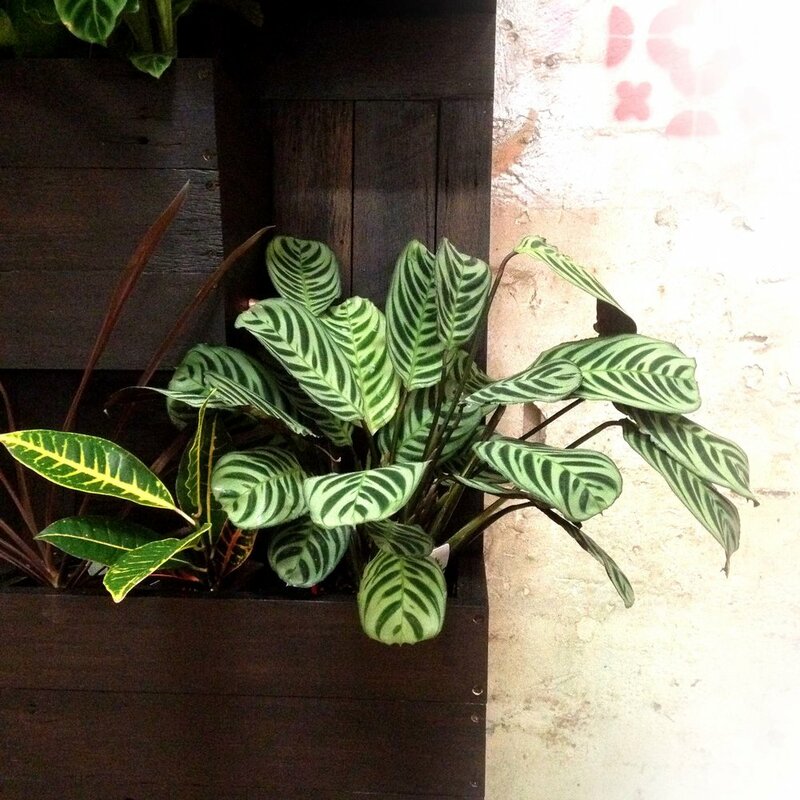 Twin charcoal salvaged hardwood vertical gardens were designed with integrated planters featuring copper overflow details. The green walls highlight the fresh, dynamic foliage as the black stained timber contrasts strongly against the lush interior landscape. 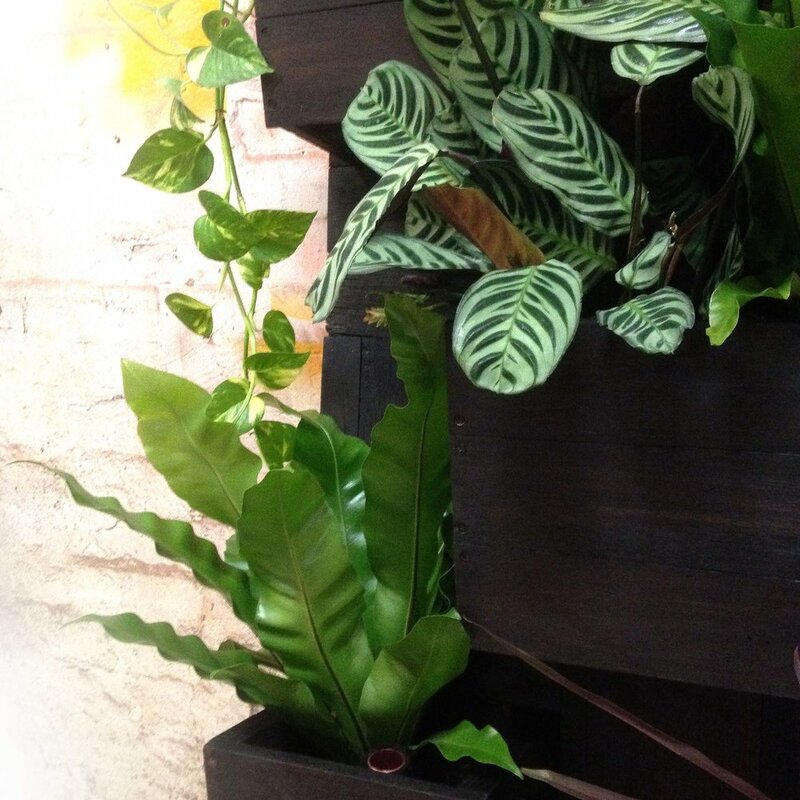 Asymmetrical geometric planters disperse the pockets of greenery across the timber wall in a playful, unexpected rhythm.